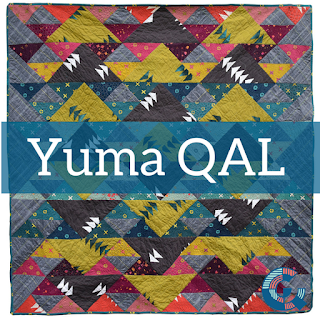 I finished sewing down the binding on my Yuma Quilt this morning. I made this quilt using a free pattern from Gotham Quilts. The weather has been chilly and stormy today and shows no signs of improving much so I have pictures for you with today's stormy skies. My Yuma Quilt made with "Natural History" by Lizzy House for Andover Fabrics. I like how the roof tops in the background mimic the triangles in the quilt top. The lake behind is a lovely blue on clear days but is steel grey today. It was very windy so there are three people behind this quilt. My husband is holding the top two corners and my son and daughter are holding one bottom corner each. Here's a bit of a brighter shot on this dark and cloudy day. I used a solid teal fabric for the backing. Most of my triangles are perfect (this is achieved by ensuring you have at least a 1/4" offset when sewing them together as you will see in the instructions). Some of my triangles are not perfect as you will see below. I decided to use a variegated thread for quilting. This is Aurifil 28 weight number 3817. This quilt is already a riot of colour so I continued that with the thread. Here are some triangle points that are not matching up. These are on the centre of the quilt. (Of course! Not an inconspicuous place.) I'm not sure what went wrong here. Maybe my log cabin squares were not the right size when I cut them into HSTs? I wasn't even sure how to go about fixing this so I can't offer advice here. I had quite a bit hanging into the seam allowance (which I trimmed away after piecing) so I'm pretty sure the sizing of my blocks was off. This quilt is for my kids to use in the living room and they are not going to care that my points are off so I am just rolling with it. They love that the fabrics in the "Natural History" line have dinosaurs, gemstones, crystals stars, butterflies and whales. When you look at the distance shot the corners not matching up is not as noticeable as it is in the close-up shot. Check out this post on the blog hop for help on avoiding this. Here's another perfect point. :) Just to redeem myself after that last photo. For some reason I thought that this quilt would be pretty easy. Probably because of the large pieces. It does go together quickly (I made this quilt in a week) but the triangles are challenging. I normally work with triangles as HST squares or as flying geese so these were a bit different for me. Having bias edges all the way around the outside edges of the quilt was tricky when it came to quilting because it caused some ripples at the edge and and I hope the binding is enough to stabilize it. If you can, I would recommend buying extra background fabric and putting a border around the sides. This would solve the bias edge issue. I saw a couple of other quilts in the hashtags on Instagram done this way and they looked cool. The design looked like it was floating in the quilt. If not, stitch some stabilizing stitches around the edge of your quilt top about 1/8" from the edge before basting so they will end up in the seam allowance. Another thing you could try, which I am loathe to do, is starch all your fabrics before cutting. If I would heed my own advice this probably would have gone a bit smoother for me. I didn't realize about the bias edges until I was near the end. The ripples will likely disappear once the quilt is washed and shrinks up a bit and only I know they are there so it's not a big issue. All in all a very cool looking quilt! 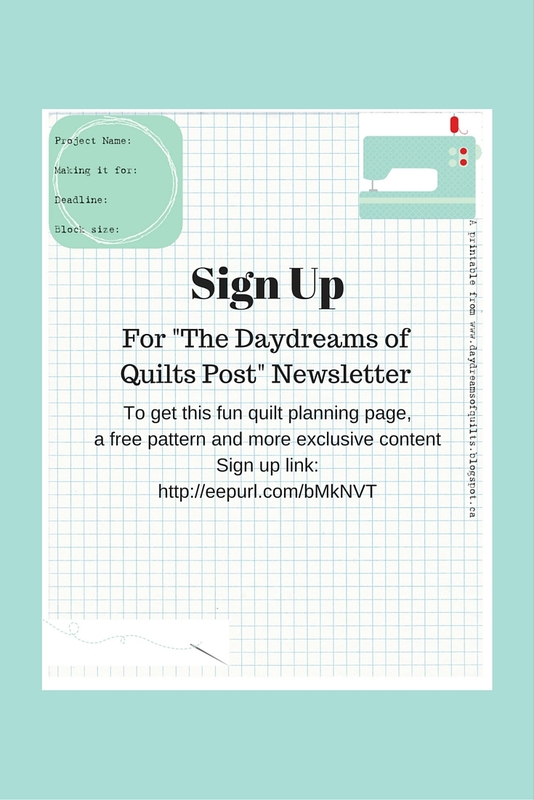 Sign up for my newsletter to receive this free printable quilt planning page, a free pattern plus more exclusive content! Thank you so much to Gotham Quilts for this very cool free pattern and for organizing this fun quilt along! 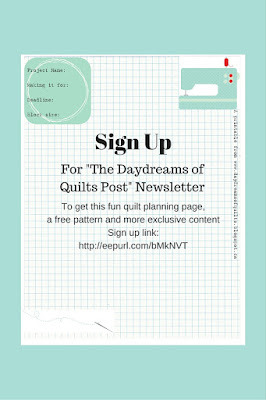 Gotham Quilts has a $25 gift certificate from their shop to give away to one of my readers. 1. Please leave a comment on this blog post. 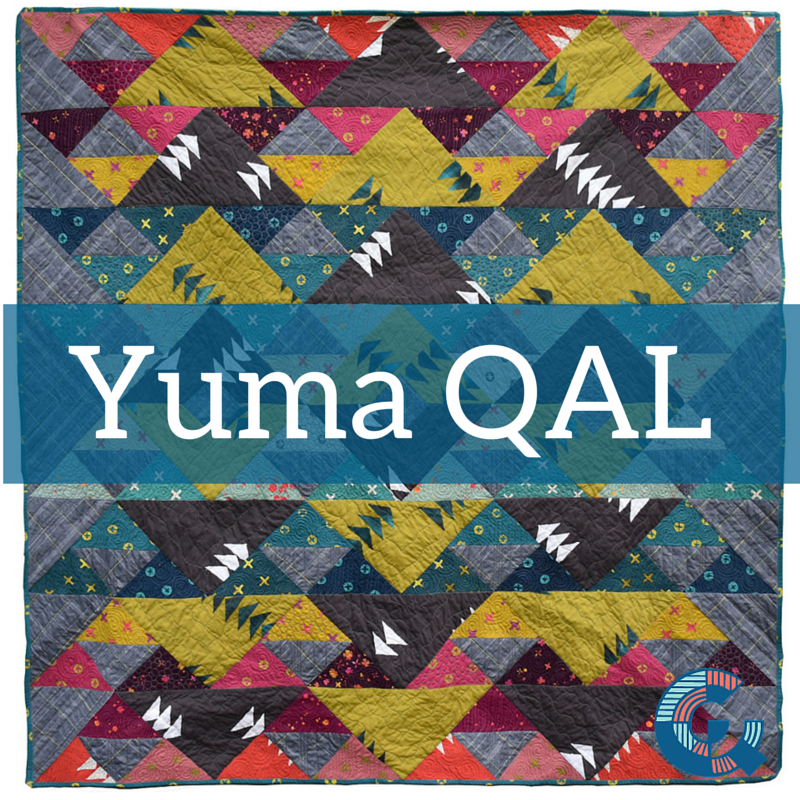 You can tell me about what fabric you are using (or want to use) for your Yuma Quilt or what you are looking forward to in the months of July and August. 2. For a second entry please show Gotham Quilts some love and sign up for their newsletter (at the bottom of their home page) or follow them on Instagram. Leave a comment telling me that you did. **Update** Giveaway is now closed. Winner as chosen by the Random Number Generator was comment #37 - Monique B. Congrats Monique! I will pick a random winner on Monday July 13th. Please make sure you have your email address in your comment if there is a chance that you are a no-reply blogger. (Even though the comment form asks for emails I do not see them.) If I can't contact you I will draw again. Open to all worldwide. Normally I try to reply to all comments but please forgive me if I do not on giveaways as sometimes there can be a lot of comments. Please visit the other bloggers on the blog hop to see what they are up to with their quilts and for more chances to win! I am linking up with "Let's Bee Social." There's a button in my sidebar if you want to check out that link-up.